The "virtual construction" of buildings at the design stage will soon be the rule, rather than the exception. Buildings are already being "constructed" in the offices of contractors and architects - before they are actually built on the project site. 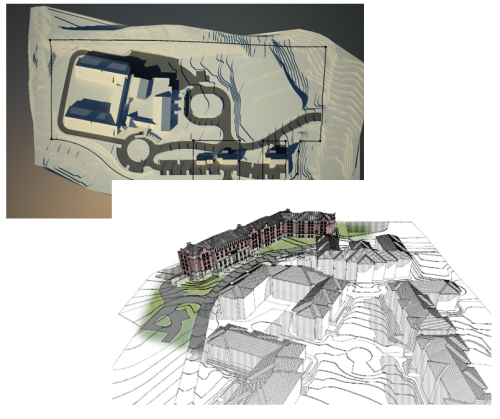 Computer models are routinely being used to speed the design and construction process - as well as to avoid the problems that can occur during construction when building systems clash. With various members of the design and construction teams contributing to building models, it is also essential that the construction lawyer understand the interwoven nature of copyright law and architectural and engineering licensing statutes and regulations, as well as the processes of design and construction. Roberts Construction Law, LLC assists its clients in managing these concerns to reduce the likelihood of project disruption, litigation, and post-project disputes that can occur when the intellectual property issues on a construction project are ignored.